Bay: "Transformers 3 Coming July 1st, 2011"
Director Michael Bay, the master of robogasmic disaster, announced yesterday Transformers 3 just started pre-production and this next installment in his three-part GM commercial is coming July 1st, 2011. 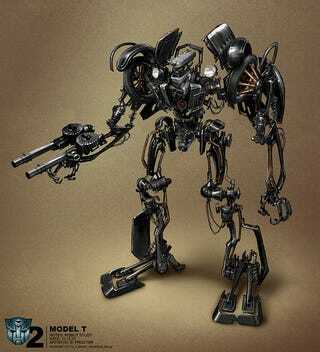 To commemorate, here's what a Model T Autobot would look like. Also, yes, it'll more than likely star Megan Fox and some emasculated young boy. Feel free to peruse the gallery below in case you've forgotten who she is.